TogetheREAD is a service from the Source for Learning developed to give families ideas for having fun as they read together. TogetheREAD is based on monthly themes, with listings of books about each theme, provided for every age group. Parents can download printable lists of each month's books to take to the library or bookstore. Also included are suggested questions to talk about before, during, and after reading, as well as ideas for free or low-cost family activities that go along with each monthly theme. 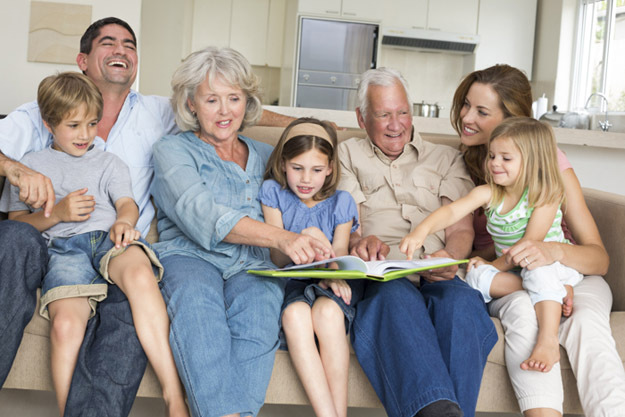 The activities are for ALL members and ages in the family, so everyone can read and participate together, even grandparents or extended family members. We also include links to some web sites to go along with each theme, for those who want to learn more. TogetheRead questions and activities have proven “reading strategies” interwoven throughout, so families can build good reading skills as they talk and have fun together. They can just read, talk, and enjoy! Our Tips to Build Better Readers, found throughout the site, share effective reading strategies in a simple, understandable way for parents. Teachers, you may want to promote good reading and parent involvement by linking to the TogetheREAD home page from your teacher web page, by sharing TogetheREAD information at conferences or open house, or even by connecting to the current month's theme in some of your classroom activities. School parent organizations may want to facilitate book sharing for the current month's theme by setting up a book exchange table or contributing funds to the school library for the purchase of upcoming books. You might even have a TogetheREAD family night "read-in" in the gym one evening a month to kick off the new theme. If your school, library, or parent organization would like to receive advanced notice via email of upcoming themes and booklists, please register here. These lists will enable you to pull together or order the books in time for the scheduled theme. Open the book and glance at a few pictures. Talk about what the pictures suggest to you.